Canopy started when Bruno Wright and Phil Griffiths bought ACT Tree Felling (ACT) and Skyline Tree Surgery (South Coast) in 1986. Both Phil and Bruno worked in the business before purchasing. The partnership split in 1988 and at that time Bruno changed the name from ACT Tree Felling to ACT Tree Surgery to better reflect the care of trees not just removals. Unfortunately, and unknown to Bruno, the name ACT Tree Felling was re-registered by the original owner some years later. (Bruno has never sold the business , ACT Tree Felling) To eliminate confusion between the two businesses ACT Tree Surgery changed its name to CANOPY The Tree Experts. We are here to provide you with solutions for any tree related problems. From power line clearing and tree felling to diagnosing pest and disease problems and providing solutions. It has been interesting journey and over the years I have seen many businesses come and go. 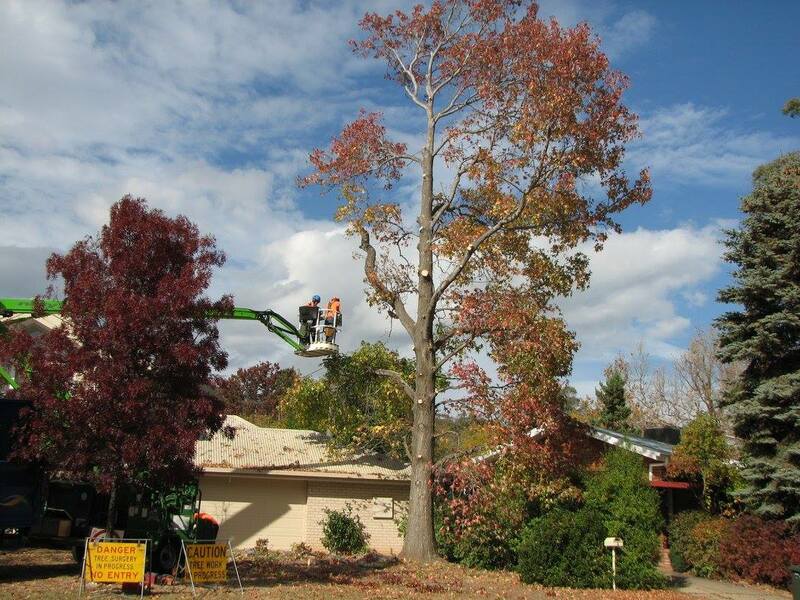 Some have improved the industry and the level of tree care in Canberra while others appear only in gaining advantage in the progression in the industry. When I started in this industry we had no education, no safety harnesses or climbing equipment, no chippers and employers provided no personal protective equipment. Through hard work and dedication Canopy has helped the ACT arbor industry to develop a safer and a more mature tree care culture.